Netanyahu Avoided Answer Over Israeli Nuclear Weapons Existence Day After Accusing Iran Of Developing Nukes 3.5 out of 5 based on 6 ratings. 6 user reviews. Israeli Prime Minister Benjamin Netanyahu declined to tell whether his country has nuclear weapons, CNN reported on May 1. Israel doesn’t admit officially the possessing of nuclear weapon. According to the data of Stockholm International Peace Research Institute (SIPRI) Israel has 80 weapons. 50 of them are for the reentry vehicle of intermediate-range ballistic missiles (IRBM) Jericho II. On April 30, Prime Minister Benjamin Netanyahu accused Iran of having a secret program to produce nuclear weapons as well as expanding the range of its nuclear-capable missiles. Netanyahu also revealed “55,000 pages” of documents and “183 CDs” allegedly copied from a “highly secret location” in Iran and detailed an effort to build nuclear arms. Teheran claimed these accusations absurd and the Netanyahu’s performance – a show planned for the US President Donald Trump to influence on the forthcoming decision over the Iranian nuclear deal. Trump is expected to make the decision on May 12. The permanent Russian representative to the UN in Vienna Mikhail Ulyanov stated that International Atomic Energy Agency (IAEA) should scrutinize the documents first. That was obviously going to happen. Lol. What do you want, money? I’ll send some. Anything but please don’t ask me to listen to Rap. They wouldn’t play for me but I found them on Youtube. I didn’t listen to much. I didn’t do too well searching for lyrics. Hahahaha! I would not call it music either but text are surprisingly very…knowledgeable. Pardon me if this has been posted! It can’t declare it has because then they’ll be legitimate first strike target using nuclear and all other kinds of chemical or biological weapons. It can’t deny it has because they’ll then become subject of inquiry and investigation. It’s becoming increasingly difficult for Israel to hide its dirty secrets, and waiting behind Trump is an avalanche of truth about Israel that should concern all Jews there. Israel may yet get to road test its Samson Option within the next 10 years. There’s something really wrong that European cowed by the samson options. Holohoax may have been very effective in playing them. and see my comment a little way down. It if did denied it in possession they’ll be subject of inquiry and verification. They’re not NPT signatory as far as i know. It is interesting as these much smaller nukes carrying 15MT or so can be packed in a rucksack…..strangely enough, in one of the latest Lee Child’s books – “Jack Reacher – Night School (2016)” ……the story also relates 100 -> 200 – Davy Crockett micro nukes. But then again, before anyone in the public had heard of Osama and AQ, Tom Clancy wrote a book about it. Call me a sceptic, but I once read of some politician or diplomatic stating “we always tell you what is going on through the types of media” ……..but along that discussion, I bet they through in a load of BS. Yes, this is one aspect of how the social supersystems are governed in reality. Predictions/Images. Even that Skripal case was already shown in a movie (even used Novichok term) before that same script was played in real life. yeah and there is that donald trump becoming president in The Simpsons…and that escalator scene. Same old trick again and again – accuse goyim of your own crimes as tora teaches every “chosen” to do. Good boy Bibi, good boy your Rabbi is proud of you. focus yourself on your ologarchs, moron! why ? 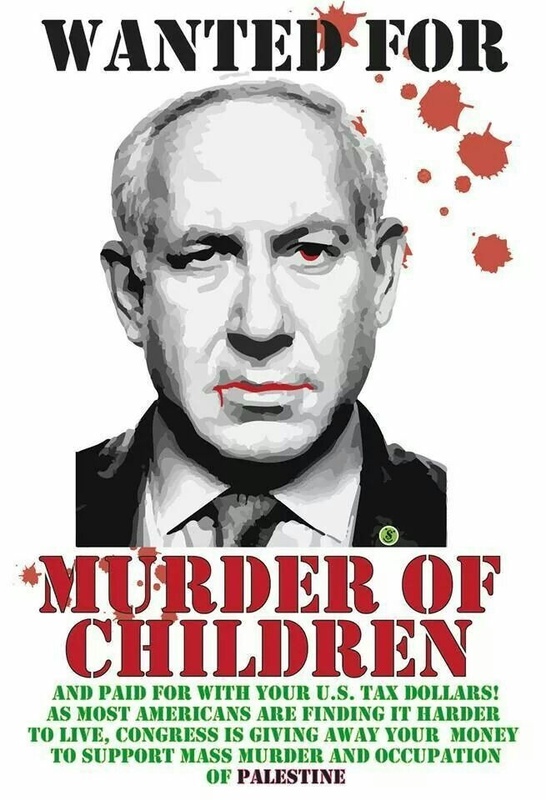 Well, people who protect Israel and her policy gives a lot of reasons….. Israel does not belong to such a such a organization, we do not have evidences of such a such a ….bla bla bla bla and more bla. Do you see who control what ? I dont think they accept him in hell. Already they rejected his predecessors. For this defective DNA it is a special place where they go and destroyed never to be seen again. Hell is nowhete to be found but on this Earth. It is only the creation of man. yes I know i was not speaking base on religion. Israel has acknowledged it formally in 2006 by their PM at that time, Ehud Olmert, so what the heck is all about, trying to shear opinion back to nuclear ambiguity status, and Israel with its supporters seems happy with that stance, since it have given Israel a freedom to accuse others. Netanyahu said Israel would not be the first to introduce nuclear weapons in any conflict in the Middle East. But he refused to acknowledge Israel had any nuclear weapons. Hmm seems to be a level of cognitive dissonance there Bibi. But then Bibi is prone to rant idiotic declarations and wave diagrams that show nothing of relevance whatsoever. Blonde are known for its stupidity.. aren’t you..? Are you muricunt blonde..? or most probably from that huge squatters in the land of Palestine with ur talmudic indoctrinated..! Israel do not threat any other country to annihilation… wow, what a preposterous statement. Seriously, Israeli nukes is an open secret inside Israel and outside. This isn’t an ethics issue this is power politics.